After a successful sell-out season at La Mama in Melbourne for Midsumma in January, acclaimed writer and performer Wayne Tunks returns to Sydney for Mardi Gras with his most personal story to date – his own! 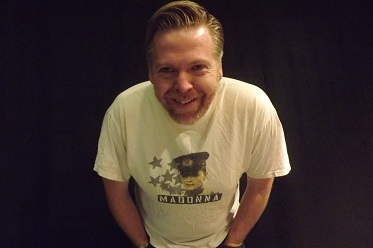 Detailing his life-long love affair with Madonna, Everything I Know I Learnt From Madonna examines Wayne’s theory he can relate every important life moment back to a Madonna lyric. An emotional story of life and loss interlaced with those Madonna lyrics we all know so well. Real, raw and riotous; this comedic drama specifically looks at the loves of Wayne?s life. From his coming out tale, to the cheating boyfriend, to the one with the racist Mum and the one with a secret drug habit, this is Wayne?s story of growing up gay in the roughest area of Sydney’?s West. Wayne is very excited to be bringing this show back home to Sydney at the Old Fitzroy Theatre in Woolloomooloo, as part of the Sydney Independent Theatre’s 2014 season and Mardi Gras. Be prepared to get your Madonna on! Since 2000, Wayne has developed a reputation as being one of Australia’s top theatre writers, with his work being performed all over Australia. His most successful plays have included, The Subtle Art of Flirting, We’ll Always Have Wagga, The Burlesque Effect, The Bridesmaid Must Die!, Silvertop Ash, 37 Ways To Say I’m Gay and Fag Boy & the Married Guy. Wayne moved to Melbourne three years ago to work on TV show Neighbours as a storyliner but is very excited to return home with this very personal play. Acclaimed Sydney director Fiona Hallenan-Barker returns to direct the Sydney production. For more information, visit: www.sitco.net.au for details.